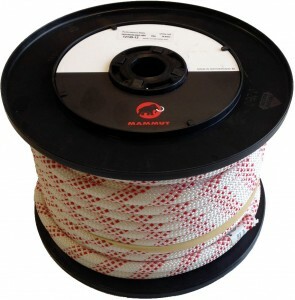 For a limited time only we are offering all our customers an additional 15% off all our Mammut abseil rope. Simply enter ROPE15 (case sensitive) into the Discount Voucher Code at the checkout and our 10.5mm starts at just 72p per M. Click the rope below to buy a reel of 50m 10.5mm Low Stretch Abseil rope for just £36 + Vat! From today we are running a very special abseil rope deal. With 10.5mm Mammut abseil rope starting at just 72p per metre, we know these prices are far and away the most competitive online. This great offer is strictly whilst stocks last. 50m of Mammut 10.5mm Performance Static for only £36 + Vat and carriage! In order to be sent your discount code either visit and ‘Like’ our Facebook page https://www.facebook.com/AbarisInternational or retweet our offer on Twitter https://twitter.com/AbarisInt.